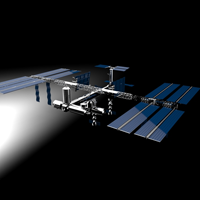 Boeing is responsible for design, development, construction, and integration of the International Space Station (ISS) - Integrated on-orbit from a series of segments transported up to the Station by the Shuttle. MSC ADAMS was used for functional verification of the attachment interface mechanisms, which required a thorough representation of the contacting geometry. The MSC ADAMS solid-to-solid contact force statement allowed simulation of the segment-to-segment attachment including various combinations of contact feature misalignment. The analysis reduced contact model development and helped Boeing minimize the possibility of introducing an error by providing stable, accurate solid-to-solid models. The segment-to-segment attachment interface includes ready-to-latch indicators, coarse and fine alignment guides, a capture latch, and supporting interface structure. Each of the contacting elements was idealized as one or more of the following contact representations: sphere to plane, line to line, line to arc, sphere to cone, sphere to torus, sphere to cylinder, arc to interior of cone, and arc to exterior of cone. Each of the contact equations was resolved to a pair of points representing the minimum distance between any two contacting elements. Model validation was accomplished using component-level tests of the contacting features. Testing was performed on the coarse guides, fine guides, and the capture latch. Testing was performed by slowly moving the contacting elements together while measuring test table strut displacement and force. The results of the tests were then compared with simulation results.